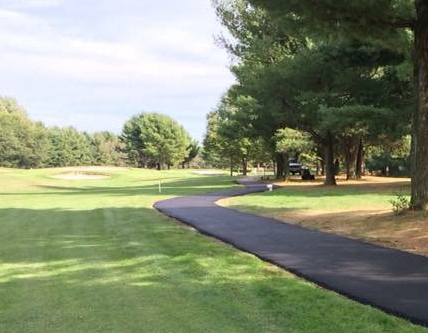 Looking to install asphalt paths? Look no further- Titan's paving experts have you covered! 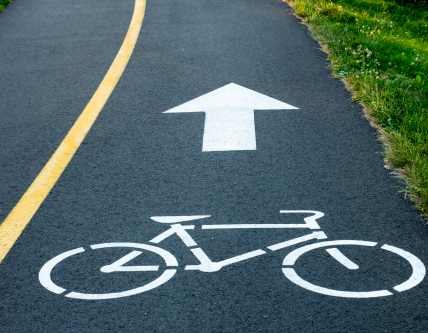 Whether you're a golf course looking to install new cart paths or a municipality needing to improve the running and biking paths throughout your parks, Titan can help! Our paving experts have been working with local New Jersey businesses, governments and non-profits for over 15 years installing and maintaining attractive and durable asphalt paths. Regardless of your land's topography, our specialized path paving equipment is designed to create beautiful paths. It's precise application maintains your property's aesthetic beauty while minimizing damage and business disruption during the construction phase. 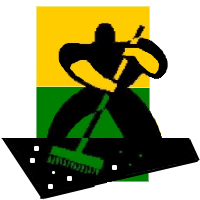 And because our equipment is precise and our process efficient, there is no excessive use of material or waste of resources fixing the landscaping and property ruined by bulky and ineffective paving equipment... saving you time and money. 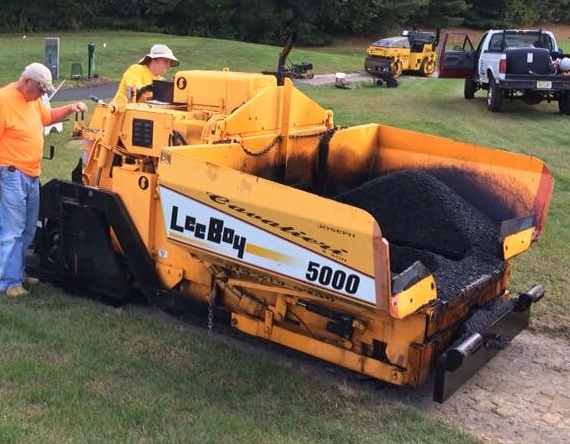 Asphalt Path Paving Machine - Titan is one of only a handful of New Jersey paving contractors who owns a Leeboy 5000 Path Master Paver. The Leeboy 5000 is only paving machine specially designed for asphalt pathways. Milling Equipment - We use top of the line Bobcat A770 all wheel steering machine with a 40" Bobcat cold planer attachment for the milling process. We also use a 7ft full size Wirtgen or Roadtech milling machine for full out cart path replacement. Topsoil Bucket - At your request we can topsoil the edges of the new cart path with our HLA Side Discharge Bucket. This attachment allows us to dispense topsoil to either the right or left sides of the cart path. This equipment avoids having to use trucks and extra manpower which causes damage to the new cart path and surrounding turf. This process is the most efficient method to apply topsoil to cart path edges. Tires - To minimize damage to your landscape and property, we employ our Bobcat A770 All Wheel Steer Skid Steer with Turf Tires. Turf tires are specifically engineered to minimize damage to turf, concrete, asphalt, and grass. SAVE MONEY - Because our staff is experienced in using The Leeboy 5000, every installation is precise, fast, and clean. This process reduces labor hours during the installation process and eliminates costly repairs to existing structures and landscape. EXPERTISE and STAFF - The installation of asphalt paths is unique skill set in the paving industry. Our loyal staff is trained and experienced in all aspects of the path installation process including design, drainage, elevation, landscaping and paving. New Jersey businesses, residents, and municipalities have enjoyed the high quality of our asphalt services. Look around at your town's parks, shopping centers, and churches, and you as sure to see our work! The list below is a small sampling of our recent asphalt path projects. Over the past 15 years, we have perfected the asphalt installation process from start to finish. First, one of our paving specialists will contact you to coordinate a site visit to understand your project needs. 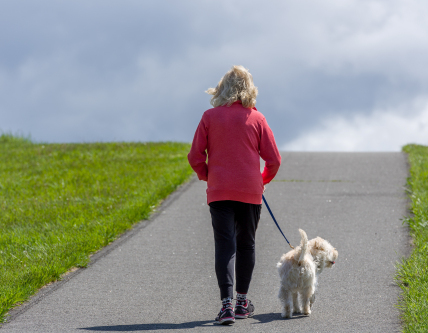 Once on site, we will inspect the land where you would like the paths installed and make recommendations. The entire process is guided by you; we simply provide the expertise! After evaluation, our paving specialist will give you various options for the project, including a comprehensive description of costs and benefits for each option. These options will assist you in making a well-informed decision. During this consultation, we will also walk you through the process's steps and time frame. 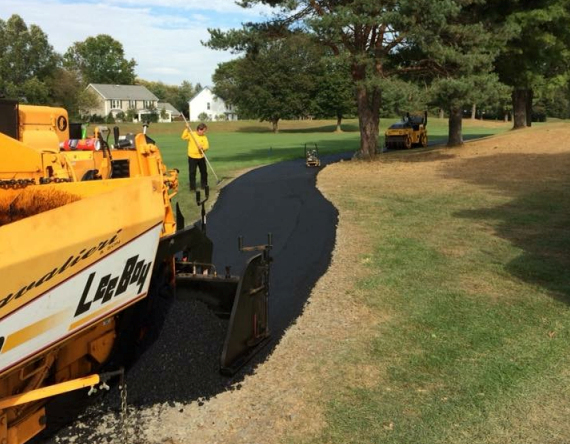 Satisfied clients for over 15 years and hundreds of asphalt path applications in the NJ area are testaments to our expert staff, precise application, and high quality service. Give us all call at (908) 654-4944 or email to discuss your project and receive a consulation. "For the over 12 years, Titan has been providing reliable, high quality Golf Cart, Biking, and Walking Paths services. I highly recommend Titan."